The Sisters of Charity of Seton Hill is an international, apostolic congregation of women religious. 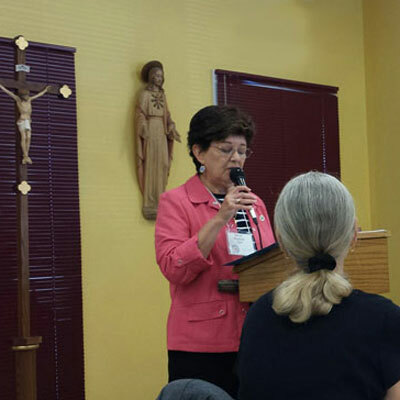 As an apostolic congregation of women religious, Sisters of Charity of Seton Hill serve primarily in the areas of education, health care, pastoral care, and social services. The Sisters of Charity continue to maintain a presence in long-term ministries and direct their action and attention to the to the needs of a changing world through newer inter-generational ministries that serve the poor and vulnerable. 37 sisters ministries are internal, community related services at the Sisters of Charity administrative offices and at our motherhouse. 80 sisters who are retired and living at Caritas Christi, our motherhouse. Our sisters serve in five countries. In the United States, we serve in nine states, nine dioceses and four archdioceses. We believe that through our collaboration with other organizations who share similar viewpoints and values, we can affect change both locally and globally. Providing a safe, secure environment for women in transition to achieve their personal, social, economic, and spiritual goals. Mary House serves women of the Uniontown area who are homeless and/or in need of transitional housing. The residence provides a safe, secure environment based on a common lifestyle of the residents. Learn more about Mary House, Inc. The Elizabeth Seton Memory Care Center is a licensed personal care home specializing in individualized, compassionate memory care for women. The staff of the Elizabeth Seton Memory Care Center provides attentive care that maintains each resident’s dignity and maximizes her personal potential and quality of life. 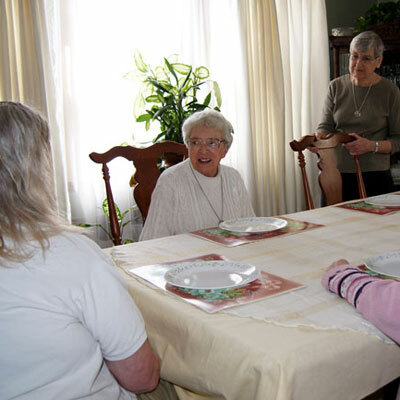 Find out more about Elizabeth Seton Memory Care. Grounded in the tradition of human service handed on by Saint Vincent de Paul and Saint Elizabeth Ann Seton. 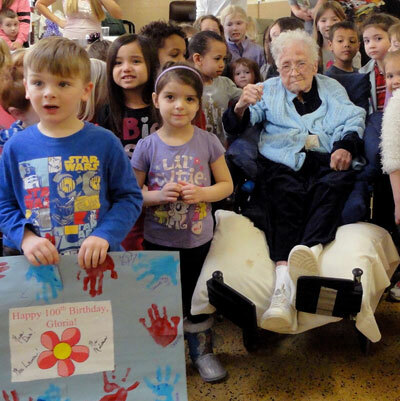 Seton Center offers top quality social programs for children and seniors, programs valued by participants, by their families, and by the wider public. 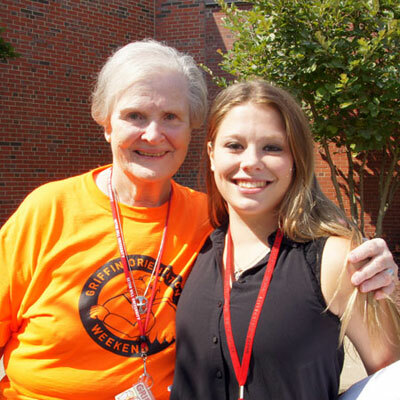 Read more about Seton Center’s Intergenerational Programming. 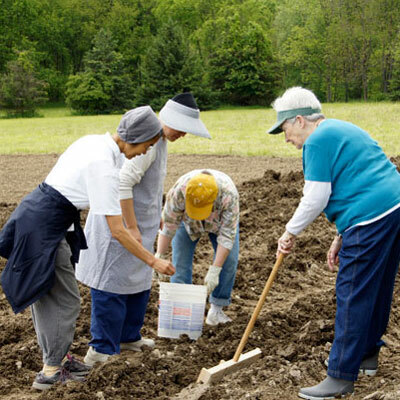 The project is about the Sisters of Charity and Seton Hill University staff and students united in sharing the joys of being one with the earth and one in growing food for our tables and for the Westmoreland County Food Bank. Read more about our Garden Collaboration. A collaborative venture of the Sisters of Charity of Seton Hill and Seton Hill University. This unique, inter-generational program seeks to offer children and adults living in under-served, inner-city communities the opportunity to transform themselves and their surroundings through the arts. 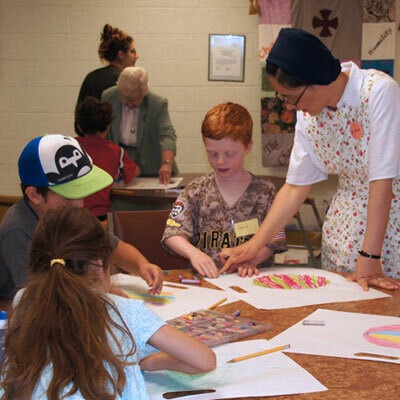 Read more about Seton Arts Summer Arts Program. Responding to the call of discipleship. Seton Family is a lay-centered program answering the call of Vatican II for the renewal of the whole church, a church in which the laity have an indispensable role. Read more about Seton Family. 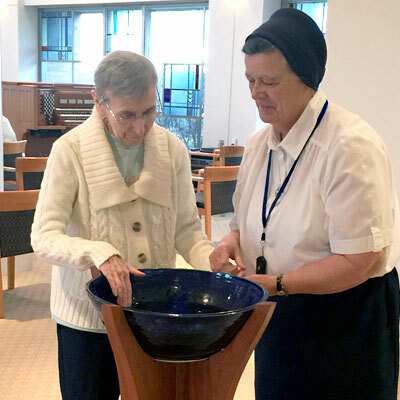 Read more about the Sisters of Charity and Seton Hill University.